"When the tide is out, the table is set." "Pan fod y llanw yn allan, mae'r ford yn llawn." 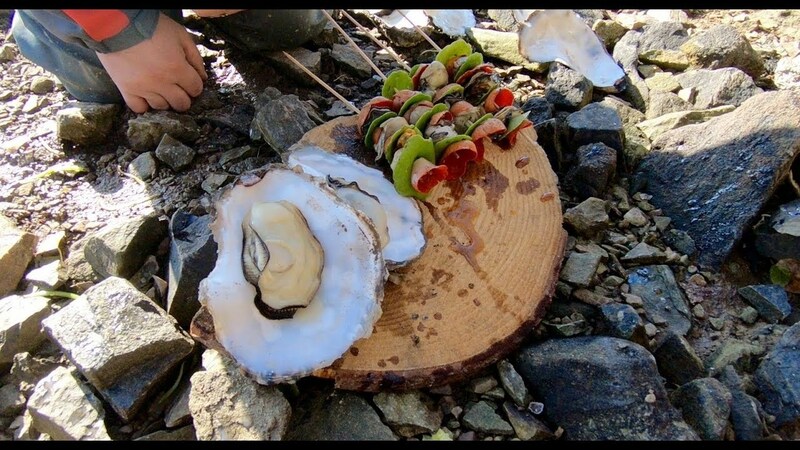 Welcome to our Coastal Foraging experiences hosted by Craig Evans. Craig has a life-long passion for sea life and it's environment; and a keen interest in all aspects of our localities, we are sure you will find our experiences both enjoyable and informative. If all goes well, you'll get to cook some of the delights that we discover on a hand-made Solva Stove (a.k.a. Swedish Candle). This is our main standard course where we discover sea vegetables and shelfish, learn about the seashore environment, then forage and learn about the wonderful sea life that West Wales is renowned for. In addition to the Standard Course, because the tidal range is more extensive, much more of the lower shore is exposed, leading to the potential of discovering deep-water species. We can arrange courses tailored to your personal or corporate requirements. Team building for groups, specific interests (vegan foraging etc.). Please get in touch with your requirements. Fill in your details and signup to our newsletter to stay up to date with any news on upcoming events. Signup to receive all the latest news from Coastal Foraging.